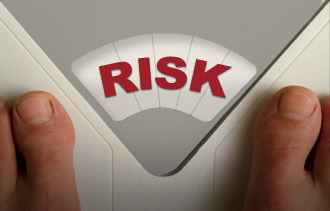 Risk is a lot closer to how we manage our choices personally today. I think that a lot of people can feel the pressures of the new economy without necessarily articulating the forces acting on them. Our parents told us to go to school, get a good job and stay there forever being a good boy or girl. With the extremely high turnover of the typical knowledge worker every few years, that advice is only relevant in a few government jobs and remnants lagging behind the forces of change. Having one customer. A job is a risk. It is one customer with one source of income. When layoffs hit or economic circumstances beyond your control hit, you are at the mercy of someone else. If all your eggs are in one basket with an employer, then the illusion of security from a job quickly becomes evident when your job is cut. One customer is a risk. Having many customers curbs your risk. Laziness. If you are not growing, you are becoming less relevant. Show me what you know, and I will show you what you are worth. The things you knew five years ago matter little comparatively. You are responsible for growing your knowledge and having something valuable to share. Only doing what you are told and not pushing your own growth is risky. Those willing to work hard and continue growing can see it plainly in comparison. There are not a lot of places to hide if you are stagnant. Reputation. We live in a social world, and word spreads quickly. If you burn people, don’t follow through with your commitments, or are not pleasant to work with, it’s not hard for a stranger to find this out. There is access to people beyond geographical limitations in times past. Your reputation does follow you, and playing loose with others risks your opportunities to do business. Speed. How you work is being compared to the top notch service a person experiences with major brands, excellent consultants and people that get things done. If you are slow, then you risk your opportunities to be of value to a team or project. Customers want responsiveness. Employers want productivity. Being slow, disorganized or incompetent is pretty apparent. We live in a hot potato world where information moves between people quickly. It becomes noticeable when you are holding onto the hot potato too long. On the flip side of risk is great reward. Figuring out how to create multiple streams of income, always growing, having a sound reputation and getting things done makes you valuable to others. You gain exposure rather than being exposed.